Written in honor of the shalom zachar of our seventh grandchild. While in Auschwitz, the Klausenberger Rebbe was shot in the arm. He was afraid to go to the Nazi infirmary, even there were doctors there. He knew that if he entered, he wouldd never come out alive. Instead, he plucked a leaf from a tree to stanch the bleeding. He then cut off a branch and tied it around his wound to hold it in place. It healed in 3 days. He then promised himself that if he would survive – he would build a hospital in Eretz Yisrael where every human being would be cared for with dignity. And the basis of that hospital would be that the doctors and nurses would believe that there is a Creator in this world and that when they treat a patient, they are fulfilling the greatest mitzvah in the Torah. Fast forward 32 years. The Rebbe did survive. We are in Union City, New Jersey. It is now 1976 and the Rebbe is conducting a Shalom Zachar, but it is not for his child nor a grandchild. Nor is it for any child of one of his Chassidim. In 1976 the maternity ward of the Klausenberger Rebbe’s Laniado hospital in Netanya had just opened up. Its first baby was born. It was a boy. The Rebbe was called and the phone was taken in the nursery where the Rebbe could hear the child cry. 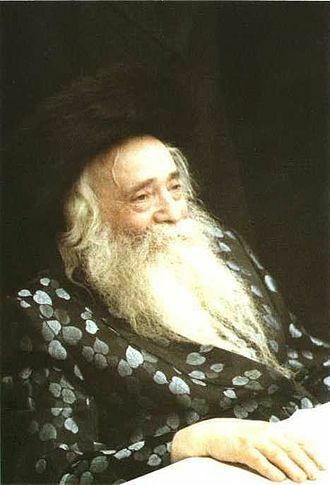 The Rebbe was overcome with emotion. The Nazis had been defeated and Klal Yisroel had survived. A new child had entered Klal Yisroel. How could he not make a Shalom Zachar? How could he not make a seudas Mitzvah of thanks? After Maariv in thousands of shuls across the world, the gabbai will announce that a shalom zachar will take place at the house of so and so. We are all tired after a hard week. But the emotion felt by the Klausenberger Rebbe in seeing the continuity of Klal Yisroel should be felt by all of us. How can we not go? Perhaps the incident cited above gives us a new reason for the Shalom Zachar. Perhaps, in the eyes of the Klausenberger, the baby represents Klal Yisroel. This baby, Klal Yisroel was saved from the travails and dangers of Jewish history. Infant Klal Yisroel had survived the Rindfleish Massacres, the Crusades, the Gzeiras Tach vetat of Chmelnieki, the pogroms of Russia, and the holocaust itself! This baby represents the very continuity of the Jewish people itself. The TaZ cites another reason in the name of the Drisha. The Drisha was written by Rav Yehoshua Falk (1555-1614), a great Posaik from Poland. He writes that is based upon the Gemorah in Niddah 30b that states that when the child is born a malach, an angel, strikes the baby on his mouth and causes the child to forget all of the Torah he had learned while in his mother’s womb. This meal, according to the Drisha, is to mourn the Torah that was lost. According to this reason, we highlight our appreciation for Torah study. The Torah must always be central to our lives. Every day in Maariv we recite “ki HAIM chayeinu.” Torah is our life itself. Some relate that Rav Chaim Kanievsky Shlita has consistently advised young women who are still in search of a Shidduch to hold a Kiddush in shul – even if the girl is now in her twenties! It could very well be that the Shabbos Kiddush is a fulfillment of the “Shavuah HaBas” that is referenced in Aivel Rabbasi. Others, however, relate that this is not Rav Chaim’s position. The Yaavetz writes in his Sefer Migdol Oz that the reason it is called Shalom Zachar is on account of the fact that it is to remember or commemorate the Torah that was lost. While the baby was in the womb he was studying Torah with a malach. That Torah is now no longer – it is lost. This meal commemorates it. What is being suggested here is that there may be a fourth reason for the Shalom Zachar seudah. There is the general idea of it being an expression of Hakaras haTov found in the Trumas HaDeshen. There is the reason proposed by the author of the Drisha that it is to enhance our appreciation of Torah. There is the reason further suggested by the TaZ that it is to enhance our appreciation of Shabbos. The fourth reason – suggested by this author but alluded to in the actions of the Klausenberger Rebbe is that it also enhances our appreciation for Jewish continuity. We are in the month of Elul. There is a remarkable new Sefer called Yehegeh Chochma that has just been published of the Yomim Noraim shmuessim of Rav Yitzchok Feigelstock, the Rosh yeshiva of the Yeshiva in Long Beach [unfortunately, it is currently only available in Brooklyn and Lakewood]. In it Rav Feigelstock makes a number of suggestions as to what we should be davening for on Rosh haShana. 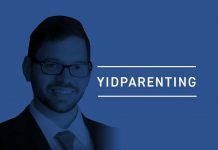 One suggestion is that we should daven for the welfare of the Yeshiva movement – for these Torah institutions have been instrumental in Jewish continuity. So even though we may have worked hard all week, let’s make that special effort to attend that local Shalom Zachar. It symbolizes our miraculous survival through the tear-stained path of history. It symbolizes Jewish continuity.